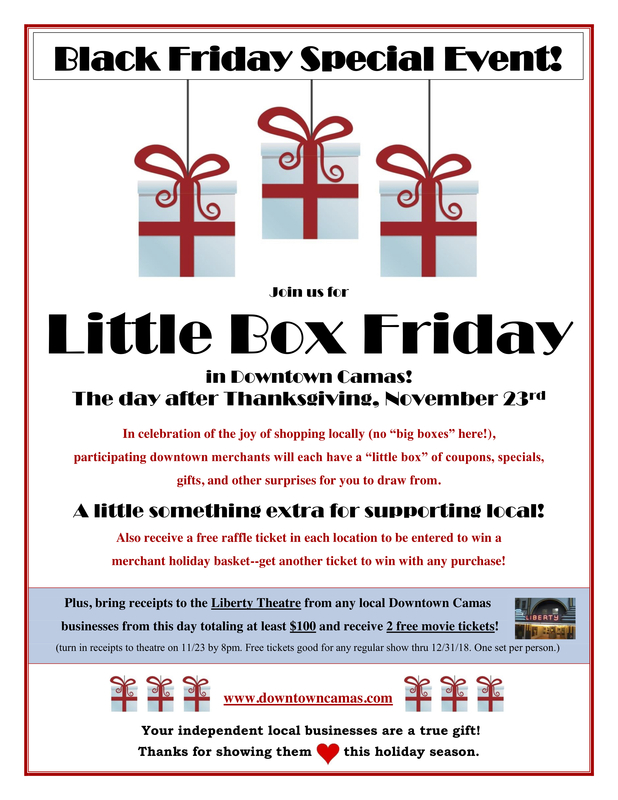 Join us November 23rd (the day after Thanksgiving) in Downtown Camas! In celebration of the joy of shopping locally (no “big boxes” here! ), participating downtown merchants will each have a “little box” of coupons, specials, gifts, and other surprises for you to draw from. A little something extra for supporting local! Also receive a free raffle ticket in each location and an extra ticket with any purchase to be entered to win a gorgeous holiday merchant basket! Fantastic kick off to holiday shopping! See you the day after Thanksgiving for small town shopping fun!